Mike Murphy, an outstanding high school athlete and football coach in Northern Kentucky, passed away last week at the Alois Alzheimer Center in Cincinnati, where he lived for the past two years. Murphy began his head coaching career at Highlands High School. He was named Kentucky Coach of the Year in 1968 and 1970 when the Bluebirds won state titles and finished with perfect records. 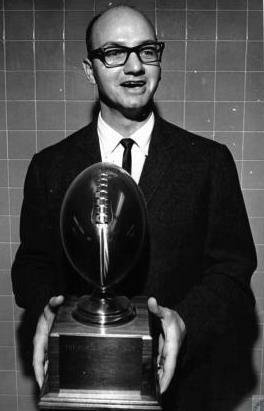 One of the players on the 1970 roster was Dale Mueller, who also became a head coach at Highlands. Murphy earned varsity letters in football, basketball, baseball and track at Holmes High School. He was offered a minor league baseball contract from the Cincinnati Reds, but he decided to play college football at the University of Cincinnati instead. He was the Bearcats’ team leader in total offensive yards during the 1953 and 1954 seasons when the two teams won 16 consecutive games. After a knee injury prematurely ended his pro career, Murphy returned to Holmes as an assistant football coach under Tom Ellis in 1959. He went on to coach Northern Kentucky high school football players for the next four decades. In 1962, Murphy went to Highlands High School as an assistant coach under Owen Hauck. He took charge of the program in 1967 and his teams compiled a 66-12-1 record over the next seven years, including the undefeated state championship teams in 1968 and 1970. Murphy was named head coach at Newport High School in 1974 and his teams went 88-55-1 over the next 12 years. He then joined the coaching staff at Boone County High School and served as assistant for his long-time friend Hauck from 1987 to 1997. After Hauck retired, Murphy remained on the Rebels’ coaching staff for three more years. During his career, Murphy was named Northern Kentucky Athletic Conference Coach of the Year four times. He was inducted into the Northern Kentucky Athletics Directors Hall of Fame in 1986 and the Northern Kentucky Sports Hall of Fame in 1987. He was also a charter member of the Covington Schools Athletic Hall of Fame. 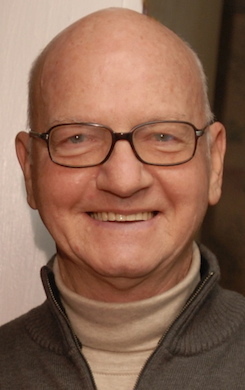 In addition to being a teacher at Holmes and Highlands, Murphy was director of pupil personnel for Newport Public Schools. He served on the Board of Directors at Brighton Center and Highland Country Club. He was a long-time member of Covington Turners. Murphy was an avid golfer. He and his wife, Kay, traveled the country playing various courses. They were members of St. Andrew’s Episcopal Church in Fort Thomas, where visitation will take place on Monday, Jan. 15 from 10 a.m. until the funeral service begins at 1 p.m.